With a vision to be a pioneer in our domain, we are emerging as one of the leading suppliers of Ride On Roller. This machine has infinitely variable hydrostatic drive for smooth, even accelerations. It is an excellent choice for the compaction of sand, gravel, soil and asphalt on roadways, walkways, bridges and parking lots. Sourced from reputed vendors, this machine is suitable for both soil compaction and asphalt application. The machine is powered by a high capacity Hz engine. Ride On Roller is easy to operate, makes less noises and has a rugged construction. We offer this machine at cost effective prices to clients. 1) Lightweight and highly maneuverable roller has infinitely variable hydrostatic drive for smooth, even accelerations. Excellent choice for the compaction of sand, gravel, soil and asphalt on roadways, walkways, bridges and parking lots. 2) Unique, versatile and economical, the RL-700D and RL-600D Walk behind Vibratory Rollers are suitable for both soil compaction and asphalt application. The machine is powered by a high capacity Hz engine. 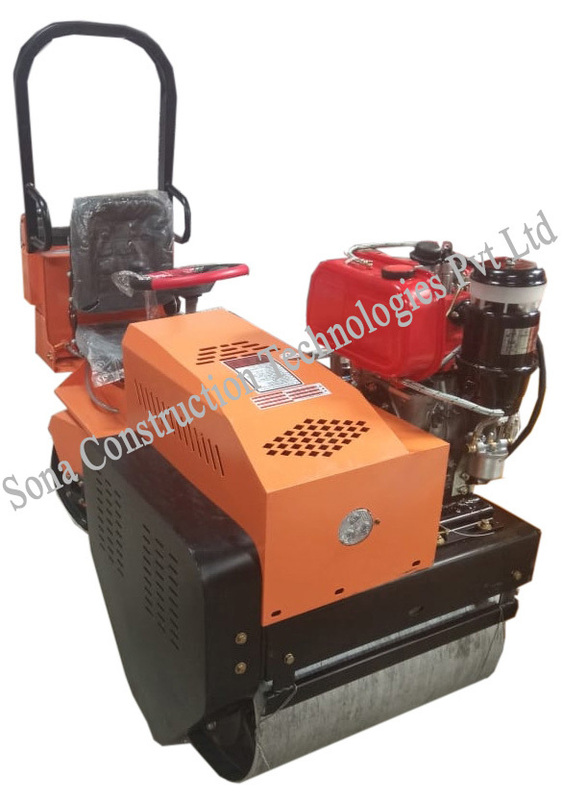 3) Sona Construction Technologies is offering a wide array of Walk behind Vibratory Rollers or single and double drum Roller. Products are available in our warehouse, dimensions and specifications to match the needs of customers. The products we are offering are acknowledged for their reliability, optimum performance, low maintenance cost and easy operations.